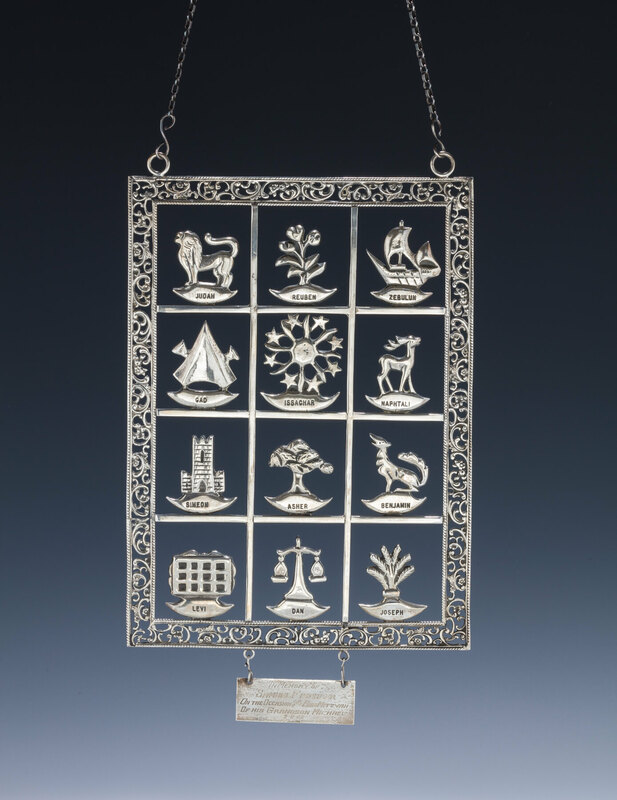 A STERLING SILVER TORAH SHIELD. USA, c. 1960. With scrolling borders. Depicting the 12 tribes with their symbols. Signed Sterling, hand made and K. With detachable plaque with former donor information dating to 1962. 12.5” long.